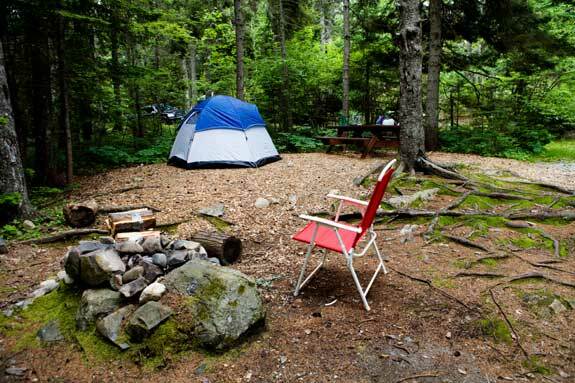 Wilderness camping is a great getaway vacation for those who love the outdoors. To get away from the hustle and bustle of the city for a while and to enjoy nature. There are various degrees of wilderness camping. It depends on how many luxuries you want to have to help you survive the outdoors. You may want to go it on your own and just have a tent and sleeping bag. 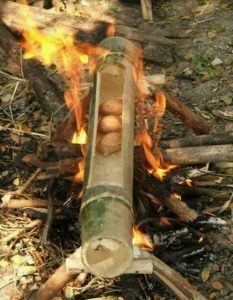 Or you may want to have more supplies and be able to have an easier time of survival. With the right gear and a good sense of safety tips and rules, a wilderness camping vacation is always a fun and educational experience. It helps to clear the mind for a while and enjoy the outdoors. The adventure of wilderness camping brings out the survival instinct in a person. Imagine the exhilaration of trekking into an utterly desolate setting where there is not even a hint of civilization. The air is fresh and invigorating. Nature’s sights and sounds delight the senses. For a time, worldly cares become insignificant. But a veteran camper knows that certain responsibilities come with any wilderness excursion. 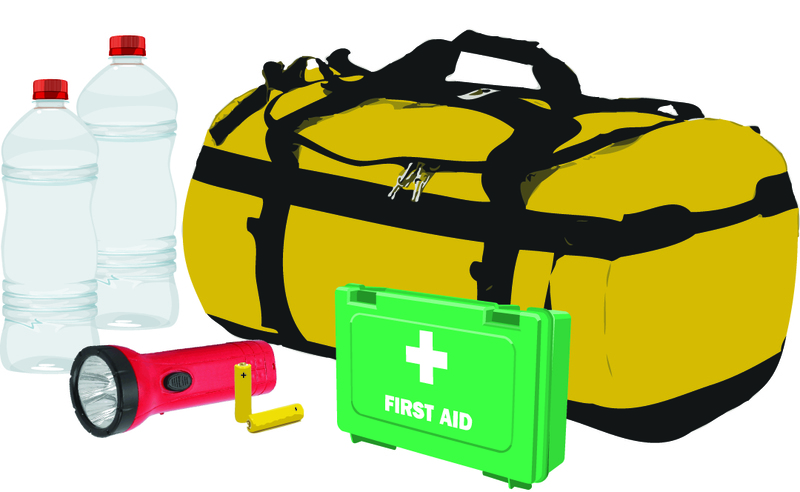 Being properly prepared is more than a good idea, it is critical. Begin by anticipating all that could go wrong to know how to respond in any emergency situation. Know what type of weather conditions you might expect. Hypothermia due to extreme cold conditions is one of the main causes of death in the wild. Think about the type of apparel that will be needed; waterproof gear, extra changes of clothes, proper footwear. Another important planning concern is the travel route you will take. Bring along a map and compass and know how to use them. 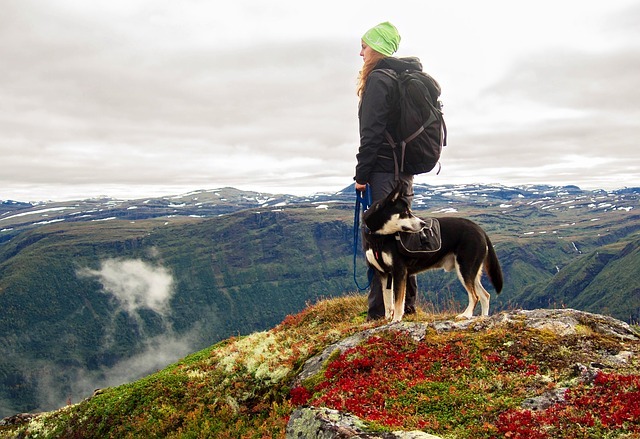 Try to learn as much as possible about the terrain, vegetation, and wildlife ahead of time. Be sure to inform someone of your itinerary and don’t forget to contact them once you get home. If you are traveling by car to your point of departure, it is a good idea to leave a note in it stating your destination and the date you plan to return. Surviving in the wilderness requires four basic human needs: warmth, water, sleep, and food. The body temperature must remain relatively constant to sustain life. Water is necessary for hydration which allows bodily functions to continue. Be sure you have ample supply because the average person cannot go more than three days without it. Sleep is important to remain alerted and have the ability to make life-saving decisions if necessary. Food would be the last priority since it can be rationed. A person can live for three weeks or more without it. Being one with nature is a great way to spend your free time. It will be a pleasant experience if you prepare yourself and have the proper equipment. Always travel in pairs, or groups. Many places of solitude don’t get mobile phone reception, and if the need arises to summon help, it’s best to have at least one person available to do the task. Also, let people back at home know where you’re going, and when to expect your return. The last two items may seem an old fashioned way of orienting yourself. However, with a GPS, there are considerations such as batteries draining, liquid or moisture damage, or breaking from a fall on rocks. Struggling to decide what clothing you should bring with you when you’re out camping in the wilderness? Well don’t get caught short when camping, no matter what age or level of experience you have, you should always be aware of the basic (and not so necessary) clothing to bring. From the bottom up you must be well covered and dry. 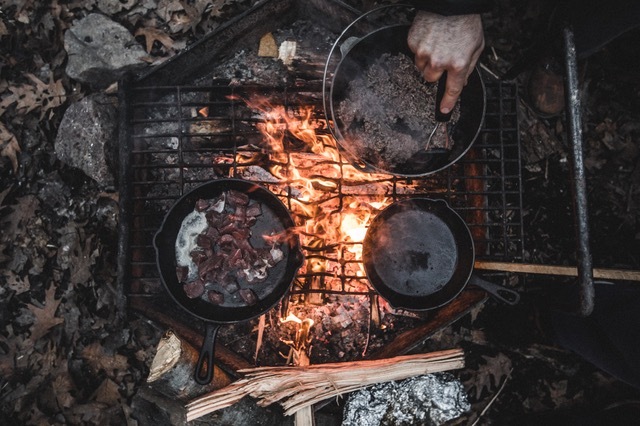 So here is a little article I found called Wilderness camping clothing which gave me a rough idea of what I needed to bring when I went for a trip out into the woods. A pair of quality leather boots that you have taken care to break in before you hit the trail. Boots must give you adequate support, so make sure they come up to the ankle. Woolen socks with nylon or polyester socks to wear next to the skin will prove to be warm in the cold and cooler in warmth. A high-quality waterproof poncho for rain and snow is an absolute necessity if you are in the mountainous country at any time of the year. Don’t skimp on this. Rain and snow poncho will keep you warm and dry and should be light enough to take along in your pack quickly. With this, you won’t really need much more than a good sweater underneath. In non-wet weather a fuzzy for the day and a parka for the evening is necessary. Again, don’t skimp on the price. Trousers are a matter of taste and comfort. Whatever else trousers be made of a durable fabric (denim or canvas), should have plenty of pockets and fit snugly. If you plan on hiking in shorts, the same holds true. In that case, those boots must go up to your ankle. Some people prefer to wear long sleeve shirts at all times; others delight in hiking in short sleeves. Your decision here is your ability to stand exposure. Like trousers make sure the shirts you choose are tough. A hat or its equivalent can never be passed up; by far the best is a wide-brimmed hat that provides shade all around your head including your neck. This is especially important if you are light-skinned. A bandana can be useful to hang down the back to give even more protection. Wear cotton underwear and make sure it fits comfortably; an undershirt is a good idea; like the polyester socks, they can help ventilate next to your skin. 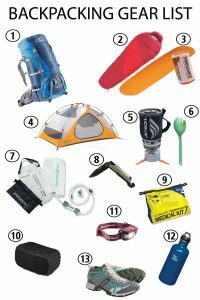 I hope my article about Wilderness camping clothing has helped you to decide what clothing to bring. Here is also another great article about the reveal jacket which I would recommend as a great waterproof jacket, Good luck on your travels.